Later this year (in 89 days time actually) I'm jetting off to Dubai for a week. This will be my third trip to Dubai and it'll be interesting to see how much it's changed in the eight years since I was last there, judging from photos I've seen it's clear that it's grown and changed a heck of a lot. Thankfully for my bank balance it's not just shopping I plan on doing when I'm out there, I want to get out and discover Dubai and throw in some good relaxing opportunities as well. I thought I'd list four things I want to do when I'm there, in another post my partner in crimes and travelling buddy, Nat, will run through four things she wants to do. 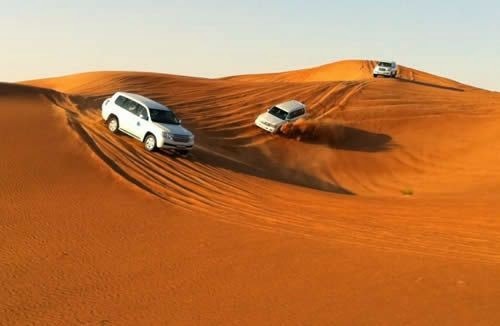 I did this the first time I went to Dubai and loved it, although the people I was with weren't quite sure about the dune bashing which I'll admit is quite scary but in a fun way. After driving through the dunes you arrive at camp around sunset, there are camels to ride (I didn't do this last time but think I'll go for it this time as 2014 is a year of firsts for me) and sand boarding. On entering the camp you can have henna put onto your hands or feet, there's a delicious dinner with lots of kebabs and fresh bread followed by shisha. Entertainment comes in the form of belly dancing, which last time left me mortified as she pulled my dad up to dance with her - for an 18 year old that just isn't cool. The opportunity to get out into the desert isn't one to be missed, it's the thing I'm looking forward to the most this time. The Jumeirah Mosque is one of the most photographed landmarks in Dubai and it's very easy to see why, especially at night when it's lit up. It's stunning. 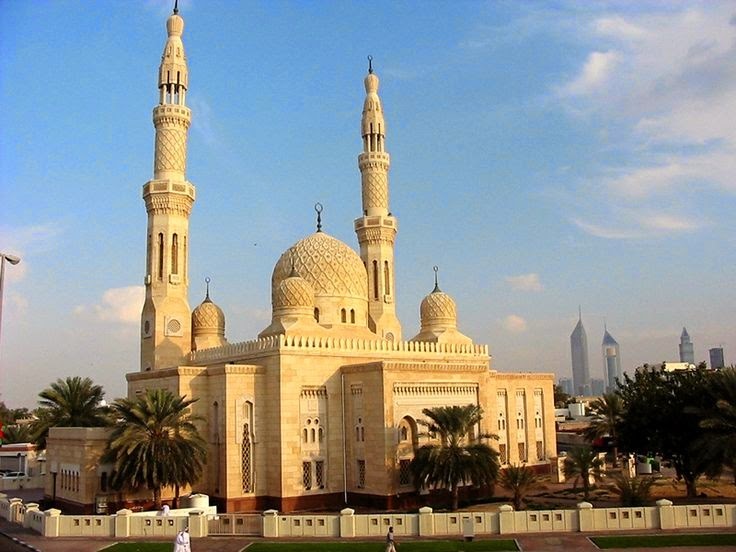 It's the only mosque in Dubai that is open to non-Muslims with the Sheikh Mohammed Centre for Cultural Understanding organising tours of the mosque as part of its Open Doors, Open Minds policy. The mosque opens its doors to the public six days a week once a day for a tour and question and answer session, I've not been inside a mosque before so there's no way I can turn down the opportunity to go inside such a wonderful building. Souk is an Arabic word that stands for market. Traditionally boats from nearby countries would come to unload their wares at the souks where goods would be haggled over. Today, souks are still markets and still quite impressive. 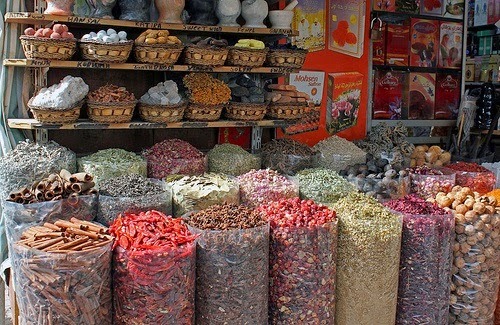 Dubai has a number of souks: gold, fish, textile and spice. The souks are very well known, especially the gold souk which is very impressive - I've never seen so much gold! I'm hoping to visit the gold, spice and textile souks. I've no plans on buying any gold but the gold souk is great to wander around and admire the 22 and 24 carat gold glinting at you. 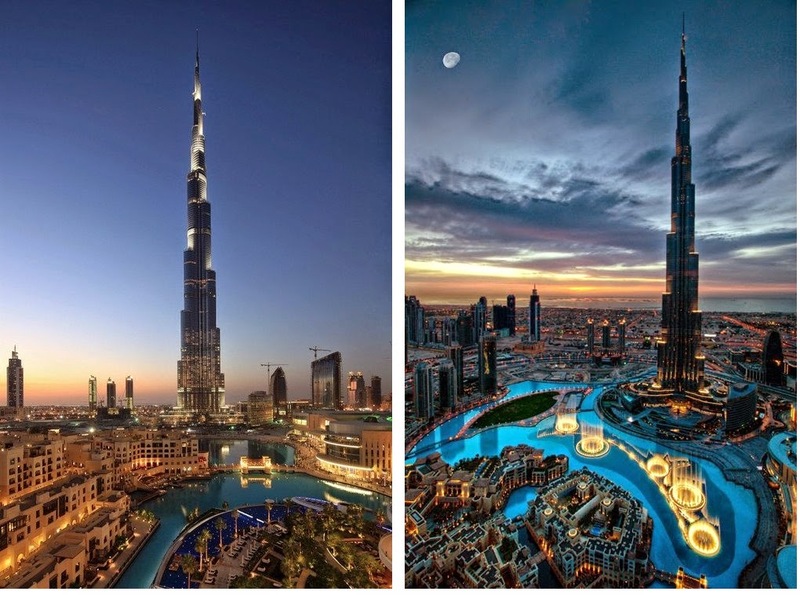 How could I not want to go to the tallest building in the world? The Burj Khalifa stands at 2,716.5 feet tall, not only does it hold the record for the tallest building in the world it is also has the highest number of stories in the world, the highest occupied floor in the world, the highest outdoor observation deck in the world and the tallest service elevator in the world. Impressive! Have you been to Dubai? Where should I add to my list of must see places?